WordPress is a free, open source a content-management system (CMS) and blogging tool based on PHP and MySQL. 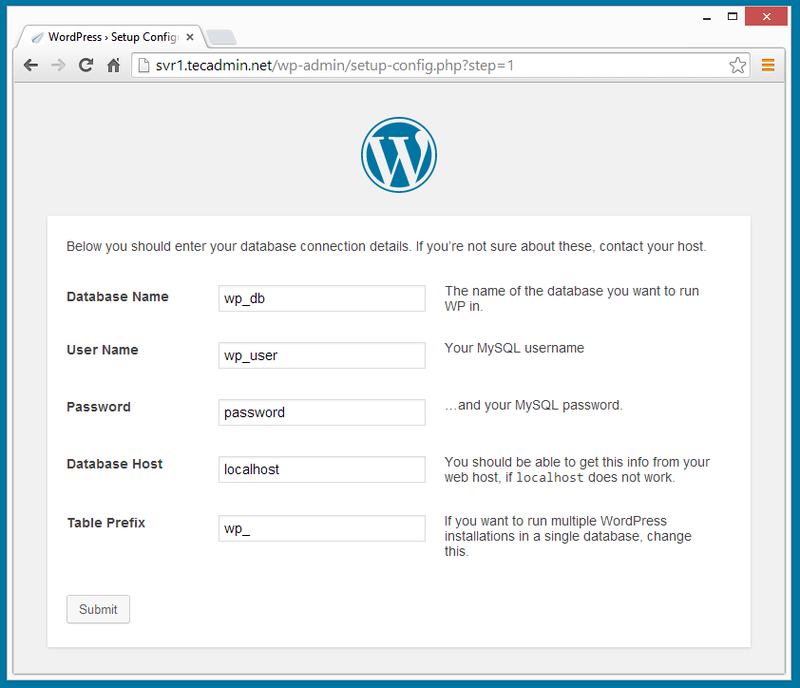 This tutorial will help you to install WordPress with Nginx on Ubuntu system. First of all, you add all required PPA to your system. Below the following commands will add PPA for Nginx, PHP on your system. and now use following commands to install Nginx web server, PHP5 with PHP5-FPM and MySQL server. PHP-FPM (FastCGI Process Manager) is an alternative PHP FastCGI implementation with some additional features. Set the listen parameter in /etc/php/7.1/fpm/pool.d/www.conf configuration file. Change 7.1 with your installed php version. You can find the current active php version by creating phpinfo file. 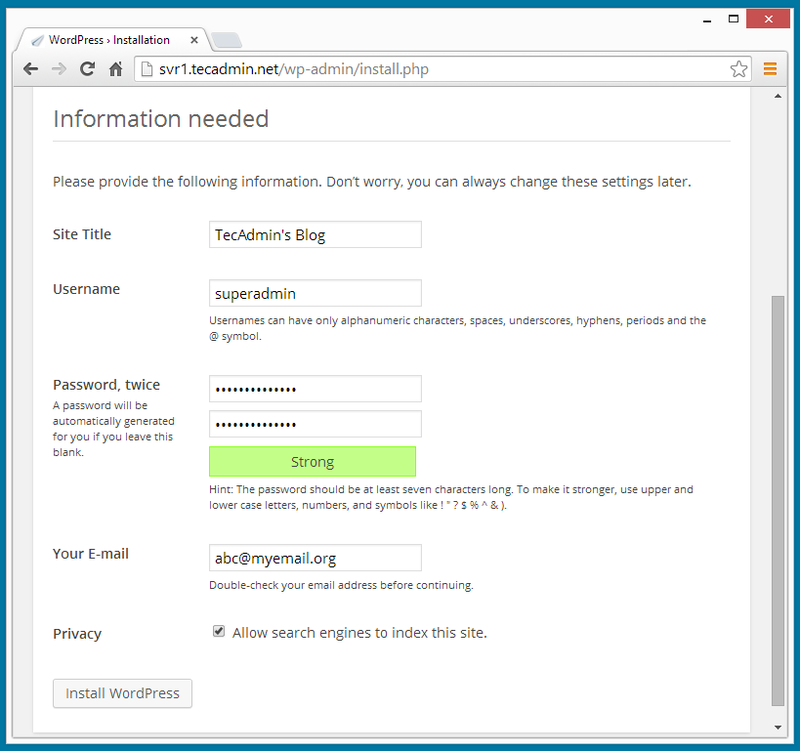 Download latest WordPress archive file from its official website using following command. 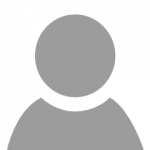 Extract archive in the document root of your domain and update permissions on files. Finally, do the configuration of Nginx server block (Virtual Host). For this example, we are creating a new configuration file for our domain example.com. and make changes as below. After installing all services on your system, start all required services. 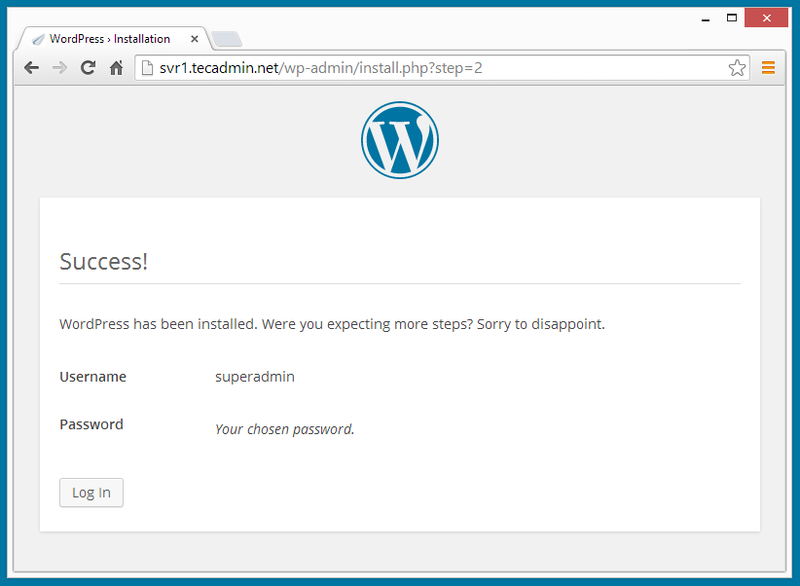 After completing above step, You have installed WordPress successfully, Now you will get WordPress success installation message. Congratulation’s! 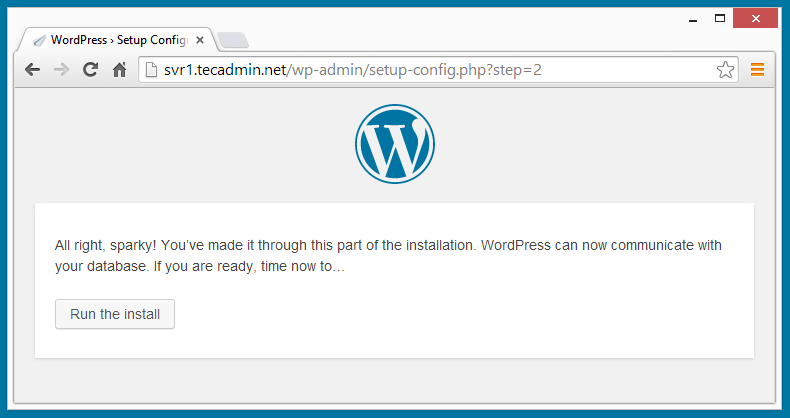 You have successfully installed WordPress with LEMP Stack on your Ubuntu system.